I’ve always wanted to start composting in a tumbler and a friend recently gave me an excuse to look into it. She’s living on a small island in Maine and it pains her to have to toss into the garbage beet greens from the local farm and calcium-rich lobster shells that she know could help fertilize her sandy soil. So she bought a composting tumbler and set it up in her backyard. Since then she’s been tossing in coffee grinds, eggshells, and leftovers, and spinning dutifully. But the pile is getting slimier. Tossing in a lobster shells made it so smelly she had to move it away from the house. And then there are the maggots. Traditional composting bins are cheap and big, so they will typically give you more bang for buck than a tumbler. They also drain excess water better, which can sometimes prevent a slimy pile. But composting tumblers are considered a good starter option for people who want to compost but have limited time and patience for it. Tumblers are sealed to keep out vermin and pests. Most compost tumblers are also suspended above the ground, making it harder to reach for rats or mice in your garden. They’re ventilated. Grass clippings and other green waste often form slimy, smelly messes on top of a traditional compost bin. 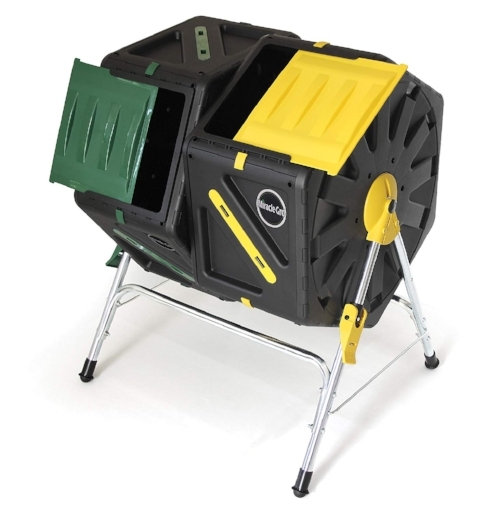 But in a compost tumbler, the holes ventilate the compost and break it down faster, which cuts down on smelliness. Spinning distributes moisture and heat. 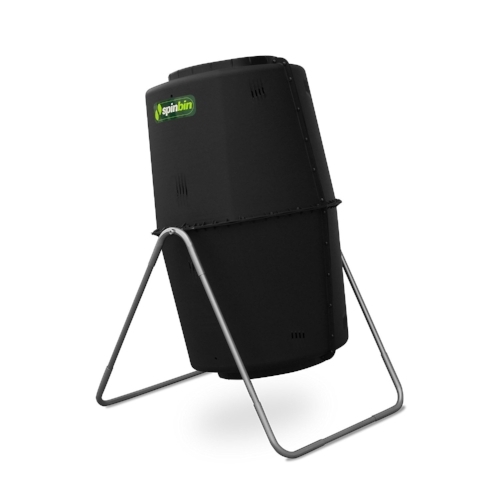 No worries about getting enough moisture or heat in your compost tumbler. This also means you won’t have to layer green and brown waste, the way you do a standing bin. Assembly is required and some tumblers are easier to put together than others. If you're up for making your own low-cost tumbler, here’s a tutorial on how to put one together. There are three steps to churning out loamy, nutrient-rich batches of compost when you're using a tumbler. 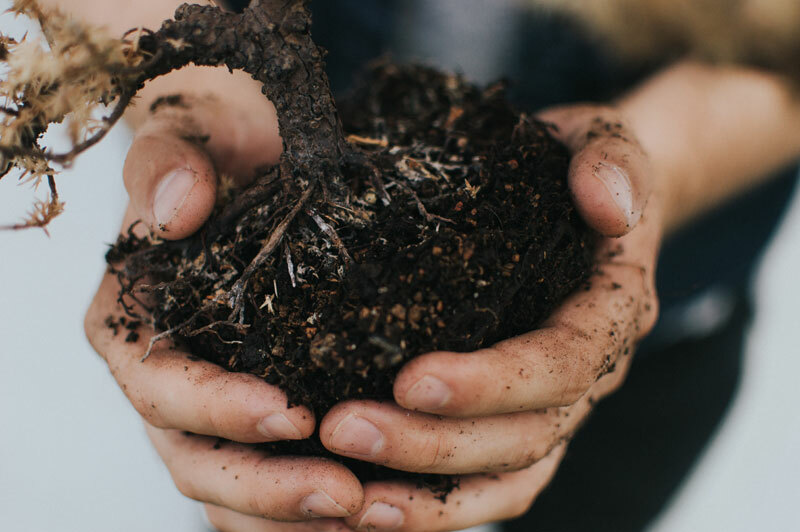 For a deep, earthy compost that’s stink-free (as much as compost can be) and ready in three or four weeks time, aim for the right balance of brown to green waste. Establishing the right amount of each will take some tinkering. Start off with one kitchen compost pail of green waste to two pails of brown waste. If there's a bad smell coming from the tumbler or if it’s gone mushy or soggy, add some more brown waste— torn up newspaper or autumn leaves are a good quick fix. If the compost pile is taking a long time to break down or looks dry, add more green waste. Keep the lid closed to keep flies away. DO NOT COMPOST: Oily materials, including meat, dairy products, fish, and peanut butter. Or super fibrous materials, like corn cobs or twigs, which take a long time to break down. No bones or pet droppings either. Don’t throw in lawn clippings that may have been treated by pesticides or herbicides, or any weeds, which will probably just sprout again. Turning your compost tumbler doesn’t take skill or grace, but it does require some arm-grease. You’ll want to spin the tumbler several times two to four times a week. After each spin, swing it back and forth a few times, listening for the shaking of the materials, before spinning it again. As time goes on, the compost will become compacted. Turning the tumbler many times will ensure all the chunks get separated and mixed with air. Don’t overfill your tumbler because you’ll want to leave some space in there for air to move around. Spinning will help ensure your heap is well-aerated, but don’t overdo it. More than four spins a week will keep the compost from getting the chance to heat up and reach optimal breaking-down temperatures. Keep your tumbler in a sunny spot in the backyard to help heat up all that soon-to-be-soil goodness in your tumbler. If your tumbler is plastic, keep it in partial sun to prevent your tumbler from warping. The darker the tumbler, the faster it will heat up. Venting helps accelerate the decomposition process. Without oxygen the heap can become sludge-like from methane-producing bacteria. A good way to check for proper ventilation is to stick in a compost thermometer when your tumbler is at least halfway filled - any less and it likely won’t be generating enough heat yet. At 130 degrees, the compost pile is perfect. It means aerobic microbes are fast breaking down the scraps. If it isn’t hitting that temperature then extra ventilation may be needed, which can mean poking holes into your tumbler. You’ll know when your compost finished because it looks and smells like soil: fresh and earthy, not rancid and slimy. If you still see remnants of past dinners or yard waste and it’s been more than a month, then you may need to do some adjusting and add more brown waste. This video shows how a compost pile breaks down over a four-month period. It’s a compost pile instead of a tumbler, but the composting action is the same. The first question to ask yourself when thinking of which model to buy is how much compostable material your household is likely to generate. For a household of four with minimal yard waste, the 60 gallon model is a practical option. The 80 gallon model makes a good fit for larger families or households equipped with a medium-sized lawn. The following tumblers are consistently highly rated by users. (The Backyard Boss, The Spruce Eats, Epic Gardening, EcoKarma, and Amazon reviews). Worth looking over as you’re doing your research, this helpful guide to composting and bins, put together by one of our readers. Bottomline: Although it requires routine turning, this durable tumbler will handle most, if not all, waste generated by a four-person household. - Dual chambers, which means you throw all your kitchen scraps into one chamber while allowing the other chamber, the one with older material, to finish decomposing. This lets you keep a constant flow of compost from kitchen to yard. Bottomline: Excellent choice for churning out batches all year long and handling waste from a smaller household. Be prepared for some complicated assembly. Bottomline: Great for efficient compost-making if you have a larger household and the yard space.